As you come down from Mardi Gras and Valentine's Day it is important to remain in the mood for learning new and innovative things that are happening in the photography industry. Here are our top 10 blogs of the week! FULL REPLAY: So many people are moving their photography businesses to be totally digital, but there are so many more benefits to using prints. They can boost the success of your business! This article includes a video that shows how to make your business a successful and possibly six figure one! BUSINESS: Are you wondering what you can do to make sure you get the sale, especially when selling your portraits and justifying the quality that comes with your prices? So many photography businesses make a lot of mistakes in the sales room that can slip potential customers right from their fingers. Check out this article to find some helpful tips on how to get the sale every time. INSPIRATION: Are you feeling burnt out in your photography? Here are some fun and innovative ways from Fstoppers to revive the energy and creativity of your images when you feel you have run out of ideas. MARKETING HELP: When thinking of the marketing of your business there are a lot of crucial things to consider so that your business is being represented in the right light. This is also important so that you gain new customers that will become faithful ones. In this article by MediaNovak learn helpful resources and strategies to use to engage your current and potential clients. PORTRAITURE AESTHETIC: When posing men and women you never want the subject to look uncomfortable or static, it is important to diversify the shots as much as you can. PPA member Jeff Rojas gets spotlighted in this Phoblographer article, where he explains some cool ways to pose men and women in different positions to make them feel comfortable in front of the camera. ONLINE RE-PLAY: If you were not able to make this year's Imaging USA in Atlanta, you missed a real treat. In this article you will get an up close and personal look at the Awards and Degree ceremony. Gain the motivation to achieve your goals, not only with trying to get a degree, but improving the success of your business. MORE PERSPECTIVE: Looking in the mirror at your business can be a tough thing to do, especially when you have invested a lot of money and time in making it complete. In this podcast by Sprouting Photographer, learn how to ask those tough questions, gain new and innovative perspectives, streamline your systems, and remain objective when it comes to your business. SALES: This week on the PhotoBomb podcast they sit down with their fellow PPA peer Hannah Marie, a Canadian photographer that captures powerful and creative wedding photography and special portraits. Hannah discusses the importance of making in person sales and how she makes big sales through this process. You're in for a useful treat! Why Do We Need Copyright Small Claims? THINGS YOU NEED TO KNOW: Being a professional photographer you know that copyright infringements are not only a huge headache for you, but also for your business. You don't want to be the person that happens to reverse image search and find your images on some e-commerce site, find out the ways PPA is trying to help you keep the rights to your images. COMPOSITION: As a professional photographer you know that subjects are all different and it is important to capture each individual person's personality so that you can bring out who they are authentically as a person. Learn from PPA member Fritz Liedtke how he composes some of his strongest images through his style of fine art portraiture. 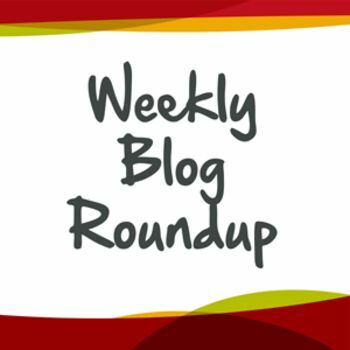 There you have it, our weekly blog post roundup! What photography blogs or podcasts do YOU follow? Post your favorite on theLoop or email them to us at OnlineContentCommittee @PPA.com. Aleighia Rouse is a graduating senior at Spelman College and PPA's Marketing and Communications intern. She aspires to hold a position just like the amazing people she works around. Aleighia is known by her happy personality and bubbly voice, and with over 6 years of film and photography experience, she can relate to and understand most of the issues faced by PPA photographers.